Includes Milhouse, even though he's not a meme. Just over a month ago, Microsoft teased a new skin pack for the Xbox One and Xbox 360 versions of Minecraft. We've seen plenty of Star Wars and holiday theme releases in recent months, so it was nice to see something a little less brown/tan and a little more... yellow. 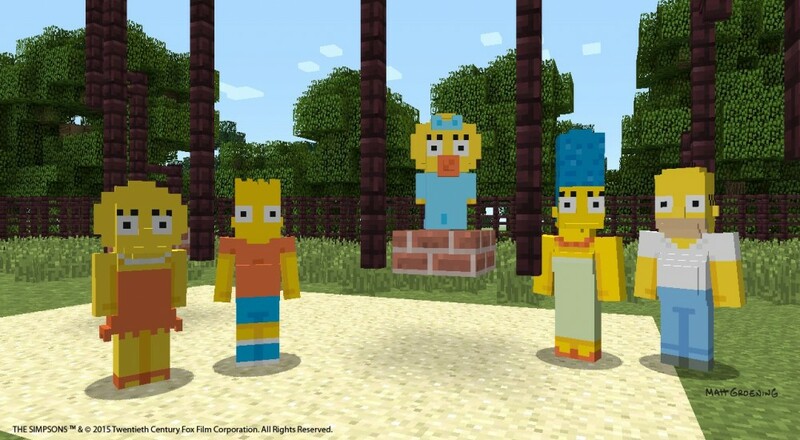 Two dozen characters from The Simpsons are now available as a DLC package for Xbox versions of Minecraft. The skins will set you back $2.99, a little more than we initially suspected but right in line with other packs out there. The core group of Homer, Marge, Bart, Lisa and Maggie are part of the deal, but because you know you're dying to know who else you can inject into your Minecraft world, check out the remainder of the list just below the release trailer. Page created in 0.4630 seconds.